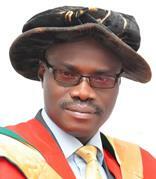 The Director of the University’s Institute of Food Security, Environmental Resources and Agricultural Research (IFSERAR), Professor Akin Omotayo, has decried that nation’s low rate of agricultural growth and its resultant poor contributions to development. 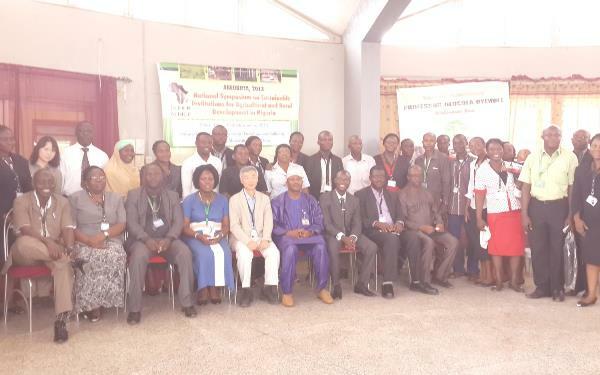 Professor Omotayo stated this recently while delivering a paper titled Rethinking Institution Capacity and Governance, at the National Symposium of the Sustainable Livelihoods and Development Network for Africa (SLIDEN Africa). The Don said the agricultural challenge facing Africa was enormous and accountable for why many people are hungry and cannot afford the basic things of life. He berated the series of wars, epidemics and disasters ravaging several parts of the continent, as well as their negative effects on Africa’s development, as he observed that agriculture represented merely 35 per cent of the Gross Domestic Product (GDP) earnings of Nigeria. Professor Omotayo, however, called for adequate investment in acquiring knowledge because it is capable of driving development, competitiveness and good governance. 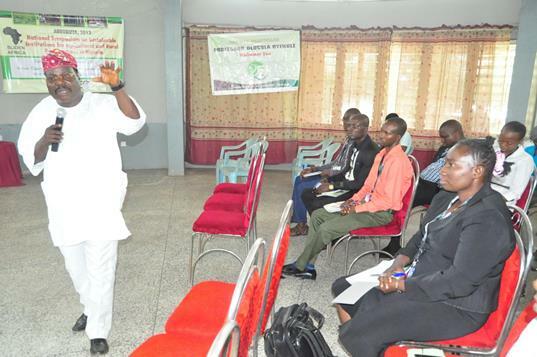 The Board Chairman of SLIDEN Africa, Dr Kolawole Adebayo, urged participants to interact freely and learn from the vast knowledge of the various speakers and guest lecturers that were invited to the symposium, which had as its main theme Sustainable Institutions for Agricultural and Rural Development in Nigeria. The Programme was attended by member of the academia and policy makers from all over the country.